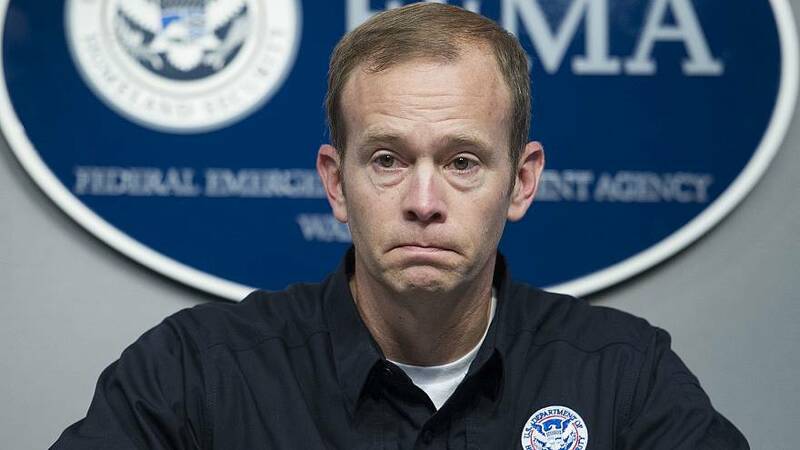 WASHINGTON — Federal Emergency Management Agency chief Brock Long announced Wednesday he is stepping down as head of the agency. "While this has been the opportunity of the lifetime, it is time for me to go home to my family - my beautiful wife and two incredible boys," Long said in a statement Wednesday afternoon. "As a career emergency management professional, I could not be prouder to have worked alongside the devoted, hardworking men and women of FEMA for the past two years." "Upon my departure, Mr. Peter Gaynor, will serve as Acting FEMA Administrator. I leave knowing the Agency is in good hands," he continued. Long, who has led FEMA since 2017, has overseen the government's emergency response to some of the most devastating natural disasters in U.S. history, including multiple hurricanes that battered the Southern U.S. and Puerto Rico, as well as wildfires in California. "Over the last two years, Administrator Long has admirably led the men and women of FEMA during very difficult, historic and complex times," Secretary of Homeland Security Kirstjen Nielsen said in a statement. Long's tenure has been dotted with controversy. In 2018, the inspector general at the Department of Homeland Security investigated his use of government resources for personal travel. Long was ultimately told to repay the U.S. government for his travel expenses, but he did not resign at the time. Long also faced tough criticism for his management of the government's response to Hurricane Maria. The storm and its aftermath left parts of Puerto Rico were without power for months and, experts say, contributed to more than 2,000 deaths.